Financing, entrepreneurship and other startup issues are part of the platforms of several of the candidates seeking the leadership of the Liberal Party of Canada. For example, in a speech to the Economic Club of Canada in December, Marc Garneau proposed introducing an angel investor tax credit to help entrepreneurs bring their ideas to market, as well as the elimination of all capital gains taxes on investments in Canadian startups. “A government official should not be making the decision where to invest, it’s the experts – you – the innovators themselves that know best,” said Garneau, a former astronaut and head of the Canadian Space Agency. Another candidate, constitutional lawyer and author Deborah Coyne, wants the federal government to to facilitate increased access for Canadian entrepreneurs to early-stage financing, to help good ideas and technology get off the drawing board and into the market. “A blue ribbon panel must examine all the existing programs addressing the links between research and commercialization, and propose a more robust and coherent role for the federal government in facilitating access to financing, particularly at the seed stage,” said Coyne. Finally, lawyer George Takach has promised investment in high-tech infrastructure, unspecified new initiatives to encourage entrepreneurship, and a new digital economy strategy. 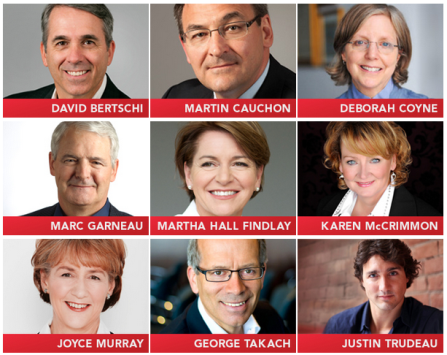 Nine candidates are seeking the leadership of the Liberal Party of Canada.